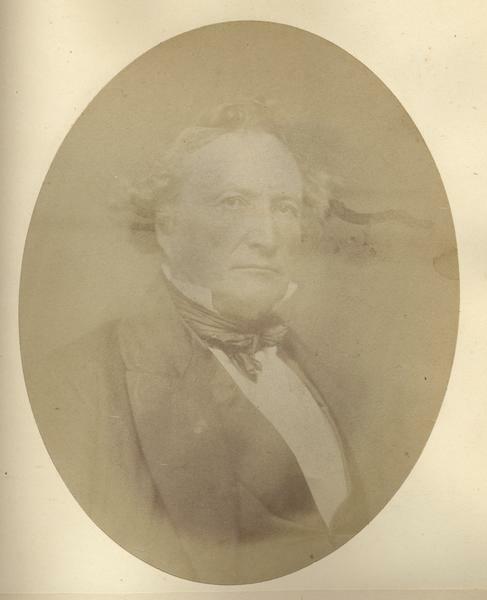 Quarter-length oval portrait of Solomon Juneau. He was born in Lower Canada on August 9th, 1793, Juneau came to Michigan (then), now Wisconsin, in September of 1816. He was the both the first white settler of Milwaukee and the city's first mayor.